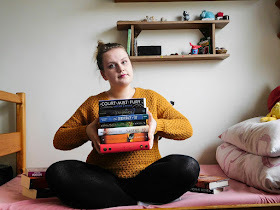 Girl with Cloudy Head: How I plot my novels? 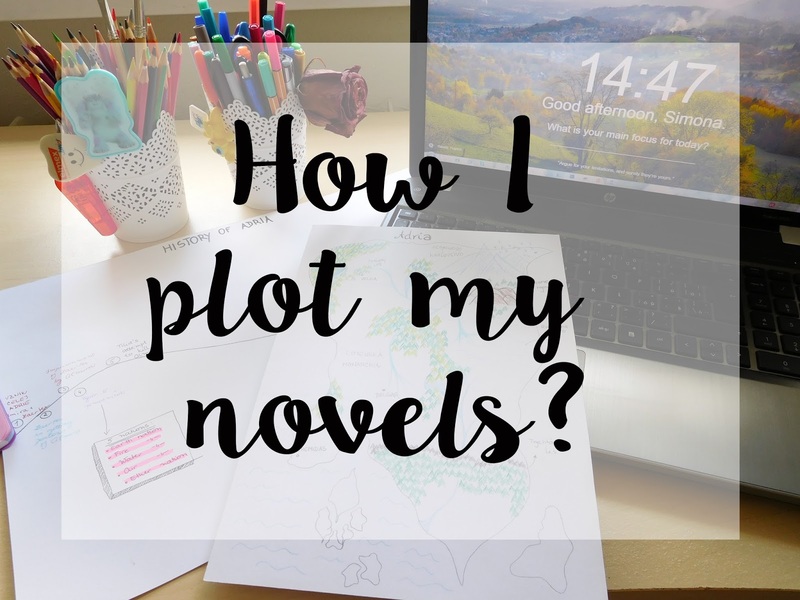 How I plot my novels? Sooo, I’ve been away for a while if any of you noticed. I’ve been at my grandma’s for the rest of the holidays, just helping her and enjoying the peace of the village. Though I must admit that people in the villages like gossips a lot. Like A LOT. Which actually helped me with my novel because I’m writing about royal court and I want intrigues and gossips and that kind of stuff so it was quite educational. I am one those people who like to see or visualize things when wanting to achieve something. All those pictures on my board are essential for my story and when I see them I remember the scene I was thinking of when pinning it. Basically this is my way of not forgetting my ideas because my mind is like a hundred years old and I keep forgetting everything. It also helps me with the mood of the story and the depiction of my characters. And I also looove to look at it because it’s really pleasing on the eye and it’s awesome to see your story in this form. Okay, I’m writing fantasy novel in my world and so I created the map of Adria as the very first thing before I started to create any history because I needed to get to know the land. I still have blank spaces on the map which will be filled later on but I have at least the most important towns and forests and places. It prevents me from writing things such as “the ride lasted one day” when obviously, the cities are much further apart. It also helps me with describing the setting because the kingdoms are in different climatic zones and the cultural changes. Now, my story involves a lot of princesses and magical creatures and magic which have a history. I mean, they didn’t appear out of nowhere. They had past which is important for the development of the future and it’s difficult for me to sometimes think about the past and the consequences in the presence and in the future. Also, I think this is the most important part about fantasy books because they are so complex. Or maybe it’s my way of procrastinating from writing the actual story. I realized that I practically know nothing about the cultural background of the groups of people that I included in my story. For example, there are healers with the ability to draw magical power from herbs and therefore heal people but I didn’t think about the necessity of having a herbal. Until I stumbled across a path when the character was about to make a healing potion and I described the herbs such as “the herb with yellow petals and leaves”. Good job, Simona, good job. Then I started to give them names and various powers which was fun. I have a folder full of folders for each character. I store pictures in them to remind myself of how I imagine the character to look like but I also store there documents with important information about them. Iris, the main character, was difficult to figure out for a while because I didn’t know whether she should be sassy and wild or bookworm and it made my life a little bit miserable. Also, it was one of the reasons why I put off the writing for so long. Not knowing who the character is, what she likes, what she doesn’t like, what her voice is was difficult and I kept changing things again and again and again which nearly drove me mad. My very good friend introduced this idea to me and it's been working pretty well. Basically, you take post-it notes (if you want to be fancy, you can use colorful just like me... everything is prettier when colorful) and you'll write important scenes on them. One note = one scene. The awesome thing about it is that you can easily move them around until you feel like it's in perfect order. Which in my case is never! Also, I love colorcoding my scenes, so I use yellow for important scenes, pink for some romance between characters, orange is for scenes in castle, blue is for scenes outside the castle aaaand then we have green for fight scenes. Nice and pretty. This technique helps me see the story in bigger picture and it's awesome that I can move scenes without messing everything in my folders because those are my sacred things. Let's talk: How do you plot your works of fiction? Do you use any of these ways? Do you plan at all or you'll just jump right into the story not knowing what will happen? This was an amazingly glorious peek into your writing process!! I LOVED IT. Pinterest boards are the absolute BEST! It's so much fun to put them together oh my word. I also love making huge files for each of my characters. I usually make a ton of lists, because that's how my mind goes. Lists lists lists!! It is right?! I love browsing through images and pinning everything to my story board. My name is Simone and this my little corner of imagination. I love foreign languages, photography and am addicted to tea. My e-reader is my best friend, writing stories is as important as breathing to me and meditation is my personal paradise. Visit Sima's profile on Pinterest. Is chasing dreams a waste of time?